This App is for HR specialists, working in small-to-medium companies, seeking to automate and simplify the performance review, the employee onboarding and the skills management. Any company of any real size needs to formally track information on their employees to avoid forgetting critical details and to make sure critical activities take place. The basis for this is the personnel file it contains contact information, employment history at the company, languages, skills, etc. All this starts with an employee onboarding process. All covered in this piece of software. On top this solution allowes you to make a performance review from multiple perspectives (peers, managers, direct reports, 360 degree Feedback). Because that case needs a lot of paperwork today. 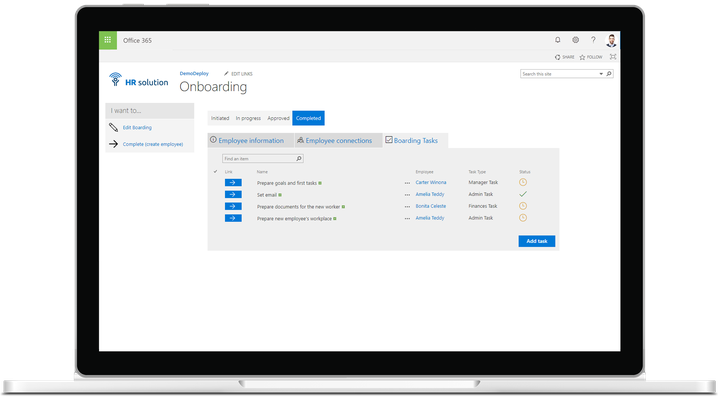 This cloud-based solution simplifies employee onboarding. 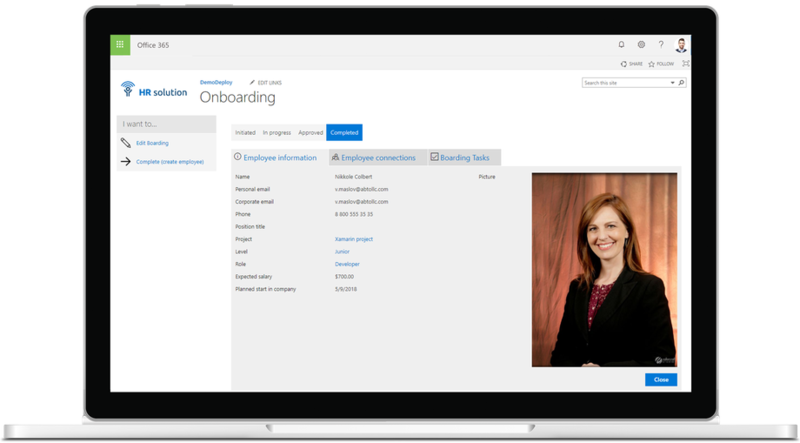 Now your HR department can organize and automate the paperwork needed to integrate your new employee into the company quickly and efficiently. You can easily assign all the provisioning tasks to your fellow HR specialists, IT department, submit required forms, view feedback, and reach out to peers or managers. Because a single location for all employees data just makes sense. This is the core of this app. 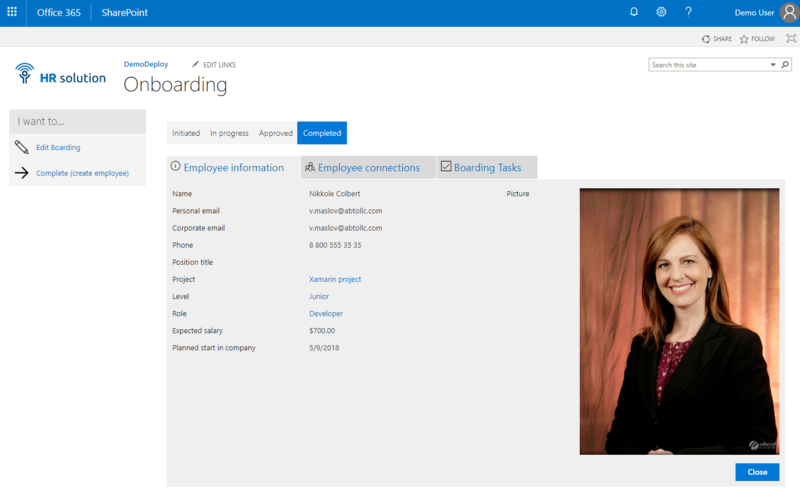 A digital profile is opened for each employee, and in addition to data about name/address/etc., you can add documents such as photos, passports, contracts, and meeting notes there, too. Important information such as department, supervisor, contact details, employment, workload, languages and much more can also be conveniently managed in the right place. Any open topics or reminders can be created as tasks linked to those employees. Because you want that your employees runing in thier strengths. The employee evaluation reports provided in the solution were developed by experienced HR specialists. We include simple and meaningful questions that help peer reviewers to focus on what their colleague does well and how they can improve. Peer reviews are also a great way for managers to pinpoint employee strengths, areas that need improvement, and career development opportunities. 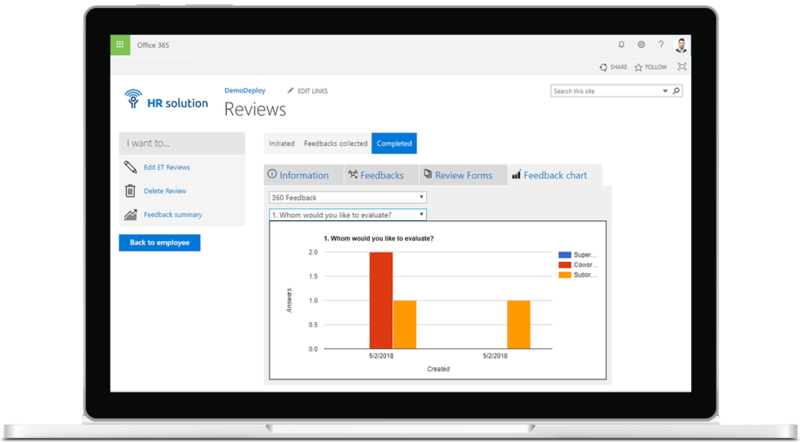 Apart from peer-to-peer reviews, our flexible evaluation program supports 360-degree evaluations, appraisal history tracking, scheduled review reminders. Because knowing who can do what makes a big difference. Skills Management provides your HR staff with the ability to effectively manage and coordinate employee skills in the workplace to better achieve the business's goals and objectives. You can easily evaluate, track and report on skill levels of all the people working for the company. Also, it is a good tool for finding skilled employees right for a job, client or project. 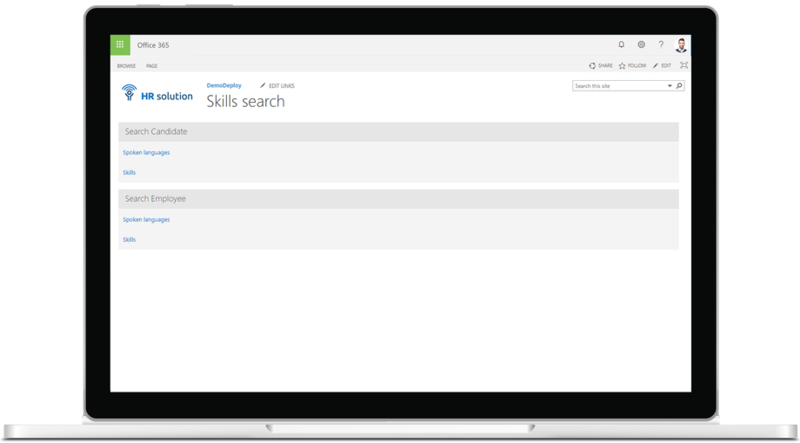 The integrated skills management allows a detailed documentation of the professional competencies of your employees. Besides already fed categories such as languages, any number of skills can be defined, sector-specific and custom-fit for your company. No experience in implementing Business Apps? Find a partner who can help you!